There are a lot of ways to get the word out about a sawmill business… business cards, flyers, web site, and social media. But sometimes it helps for people to actually see what you do. 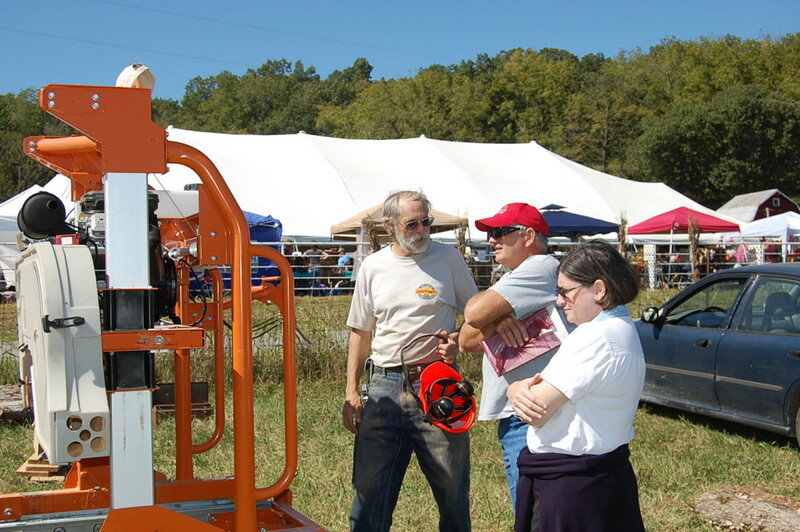 Demonstrations can be a powerful tool for meeting people and making contacts. 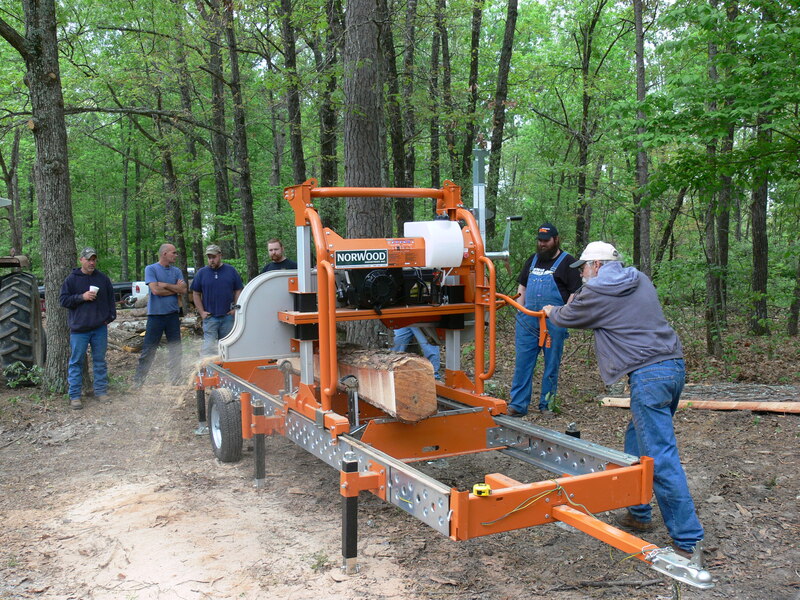 With a portable sawmill, there are a number of opportunities. I’ve run my Norwood mill at county fairs, farm shows, tree farm conventions, Dept. of Conservation events, and even set up in school parking lots. 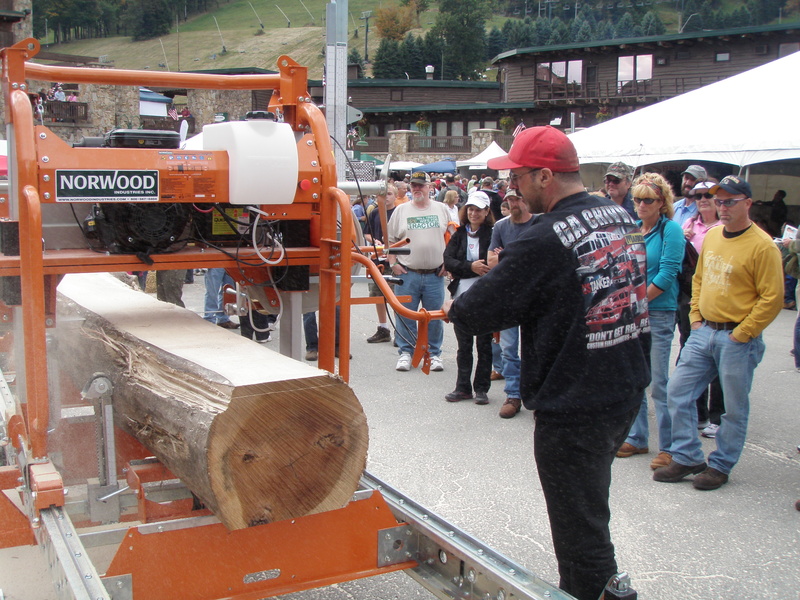 Several times, I’ve had people call me years after seeing a demonstration to see if I could mill some logs for them. So what does it take to hold a successful demonstration? As they say in real estate, location is everything. You need to be where people are, and you need to let them know you’re coming. Often the event holders will be more than glad to help get the word out, since it will help their attendance. If you use social media, make sure to post the when and where. Pick your events carefully, so that the people attending are the ones who are likely to do business with you. For example, if you have a niche with specialty woods, watch for woodworking shows, or offer to demonstrate the mill for the local woodworking club or guild. Logistics can be an issue. You need a level area big enough to work in comfortably and be able to keep spectators at a safe distance. Last year, at a farm show, I was put out in the “back 40”, until I explained that I only needed an area 30’ square and that the mill made no more noise than a riding mower. Don’t be bashful about requesting an area that will generate the traffic flow you need. A few “extras” to bring to a demonstration are flagging to mark off danger zones, extra brochures and business cards, folding chairs, a camera, and plenty of water. Be sure to be clear on who is supplying the logs. If you supply them, how will you get the logs and the mill to the demonstration area? If logs are provided, you need to be sure they will work for your purposes. The last thing you need is to get to the show to find small crooked logs with wire hanging out of them! Demonstrating for schools can be particularly rewarding. Several times a year I bring my mill to an area school, along with a few walnut logs. 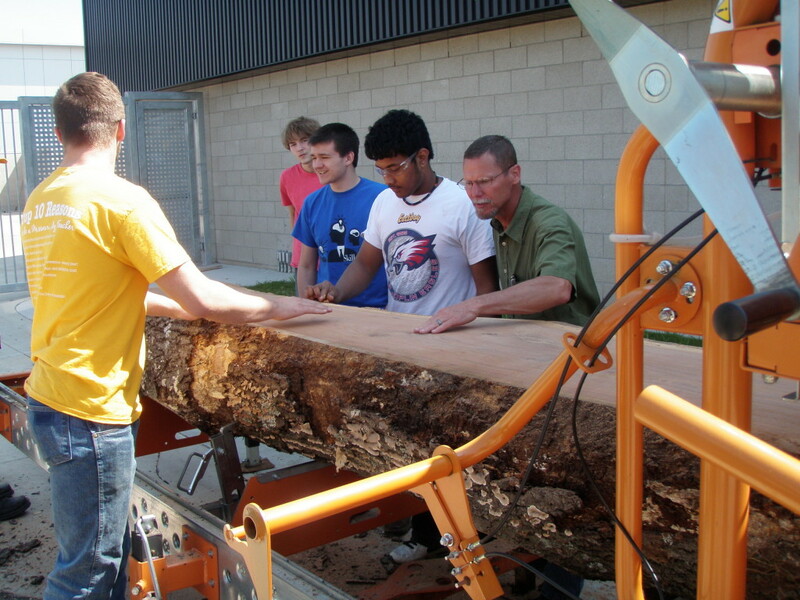 The students get to see the milling process, and keep the lumber for projects. Yes, there is that warm, fuzzy feeling, but on the business side, the local TV station came to cover the story. You just can’t buy that kind of publicity! While demonstrations are, in many ways, similar to other cutting jobs, there are some important differences. You need to be constantly aware where people are. No matter how many times you explain where the danger zones are, someone will stand there. Slow down and remember that you are there to produce customers, not lumber. Visit with people and explain what you’re doing and why. If someone has a story about working around his grandpa’s old circle mill, let him tell it. You will likely find that it is all too easy to get distracted. Keeping an eye on that youngster on a bicycle, you will not notice that your clamp is too high until you hear the screeching of the blade as it tries to cut into it. You just have to roll with it and remember that when doing a demonstration, you are more of an entertainer than a sawyer. If you are part of a show, maintain goodwill toward your fellow exhibitors. Be aware of how the wind is blowing the sawdust. When you arrive, you may need to orient the mill to minimize the impact on others. Run the mill during slack times to avoid interfering with the conversations between other exhibitors and their potential customers. If someone points out that the mill is causing a problem, it is your responsibility to resolve it, even if it means shutting down. By that point, you hopefully have a pile of lumber that will be your selling point. Always make sure you understand ahead of time what your cleanup responsibilities are. This is usually not much of an issue. The slab wood is almost always picked up by wood carvers or people wanting free firewood, and the sawdust will soon be integrated into the soil. Finally, there’s the follow-up. Posting photos, writing down contact information of the people you talked to, returning phone calls, and scheduling cutting jobs. Demonstrations can be good for business, but remember that you are out there to promote yourself and your business. The first few may be a little unnerving, but after that, it is almost like having a day off!